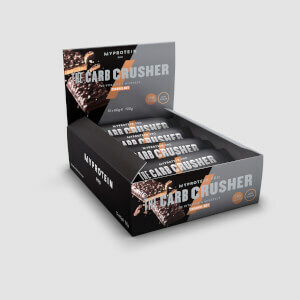 Level-up your snacking with this delicious bar — featuring six layers of indulgent taste and texture, it’s high in protein and low in sugar, for an incredible on-the-go treat. Enjoy layers of gooey caramel and protein crispies, all coated in either milk or white chocolate — each bar is bursting with irresistible flavours. Coming in Chocolate Sundae, Birthday Cake, Lemon Meringue, and Cookies & Cream, supporting your training goals has never tasted so good. When to enjoy 6 Layer Protein Bar? These low-sugar treats are ideal anytime sweet-tooth cravings strike — at home, the office, or straight after a gym session. What to enjoy 6 Layer Protein Bar with? 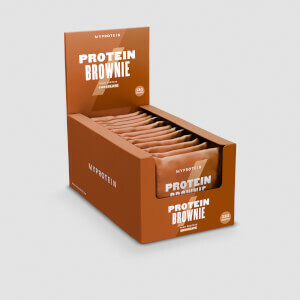 They’re great to have with you for a super-delicious protein hit when you need it most. Pair with a shake of THE Whey for a powerful pre- or post-workout boost of ultra-premium protein. 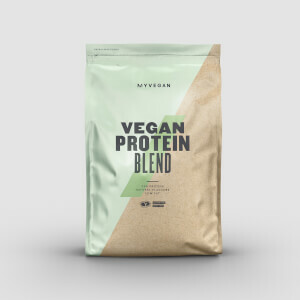 Protein Blend (29%) [Milk Protein Concentrate (Milk), Collagen (Bovine Hydrolysed), Whey Protein Concentrate (Milk), Calcium Caseinate (Milk)] Corn Fibre, Humectant (Vegetable Glycerol), Soy Protein Nuggets (11%) [Isolated Soy Protein, Tapioca Starch, Salt, Emulsifier (Soya Lecithin)], Rapeseed Oil, Caramel (8%) [Chicory Root Fibre, Humectant (Vegetable Glycerol), Palm Kernal, Water, Butter (Milk), Palm Oil, Emulsifiers (Mono- and diglycerides of fatty acids, Sorbitan Tri- Stearate, Rapeseed Lecithin), Gelling Agent (Pectin), Salt), Colour (Carmine)], White Chocolate Flavour Coating (5%) [Sweeteners (Isomalt, Sucralose), Palm Oil, Whey Powder (Milk), Flour (Wheat Flour, Calcium Carbonate, Iron, Niacin, Thiamine), Emulsifiers (Soya Lecithin), Natural Flavourings)], Sugar Strands (2%) [Sugar, Coconut Oil, Beetroot Concentrate, Water, Glucose Syrup, Paprika Extract, Colours (Anthocyanin, Curcumin), Glazing Agent (Beeswax)], Natural Flavourings, Thickener (Acacia Gum), Emulsifier (Sunflower Lecithin), Sea Salt, Colour (Carmine), Antioxidant (Vitamin E). Protein Blend (29%) [Milk Protein Concentrate (Milk), Collagen (Bovine Hydrolysed), Whey Protein Concentrate (Milk), Calcium Caseinate (Milk)] Corn Fibre, Humectant (Vegetable Glycerol), Soy Protein Nuggets (11%) [Isolated Soy Protein, Cocoa, Tapioca Starch, Emulsifier (Soya Lecithin)], Rapeseed Oil, Caramel (8%) [Chicory Root Fibre, Humectant (Vegetable Glycerol), Palm Kernal, Water, Butter (Milk), Palm Oil, Emulsifiers (Mono- and diglycerides of fatty acids, Sorbitan Tri- Stearate, Rapeseed Lecithin), Gelling Agent (Pectin), Salt), Cocoa Powder)], Milk Chocolate Flavour Coating (5%)[ Sweeteners (Isomalt, Sucralose), Palm Oil, Cocoa Powder, Whey Powder (Milk), Flour (Wheat Flour, Calcium Carbonate, Iron, Niacin, Thiamine), Emulsifiers (Soya Lecithin, Polyglycerol Polyricinoleate), Natural Flavourings)], Fudge Crumb (2%)[Fudge Crumb (2%) [Sugar, Sweetened Condensed Milk (Milk, Sugar), Fondant (Sugar, Glucose Syrup, Water), Glucose Syrup,Palm Oil, Golden Syrup, Butter Oil (Milk), Natural Flavour, Humectant (Vegetable Glycerol)], Cocoa Powder, Natural Flavourings, Thickener (Acacia Gum), Emulsifier (Sunflower Lecithin), Sea Salt, Colour (Plain Caramel), Antioxidant (Vitamin E). 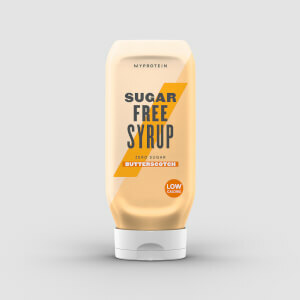 Protein Blend (29%) [Milk Protein Concentrate (Milk), Collagen (Bovine Hydrolysed), Whey Protein Concentrate (Milk), Calcium Caseinate (Milk)] Corn Fibre, Humectant (Vegetable Glycerol), Soy Protein Nuggets (11%) [Isolated Soy Protein, Cocoa, Tapioca Starch)], Rapeseed Oil, Caramel (8%) [Chicory Root Fibre, Humectant (Vegetable Glycerol), Palm Kernal, Water, Butter (Milk), Palm Oil, Emulsifiers (Mono- and diglycerides of fatty acids, Sorbitan Tri- Stearate, Rapeseed Lecithin), Gelling Agent (Pectin), Salt), Colour (Plain Caramel)], White Chocolate Flavour Coating (5%) [Sweeteners (Isomalt, Sucralose), Palm Oil, Whey Powder (Milk), Flour (Wheat Flour, Calcium Carbonate, Iron, Niacin, Thiamine), Emulsifiers (Soya Lecithin), Natural Flavourings)], Dark Biscuit Crumb (2%)[Flour (Wheat Flour, Calcium Carbonate, Iron, Niacin, Thiamine), Palm Oil, Rapeseed Oil, Sugar, Cocoa Powder, Invert Sugar Syrup, Raising Agents (Sodium Bicarbonate), Salt)], Natural Flavourings, Thickener (Acacia Gum), Emulsifier (Sunflower Lecithin), Sea Salt, Colour (Plain Caramel), Antioxidant (Vitamin E). Protein Blend (29%) [Milk Protein Concentrate (Milk), Collagen (Bovine Hydrolysed), Whey Protein Concentrate (Milk), Calcium Caseinate (Milk)] Corn Fibre, Humectant (Vegetable Glycerol), Soy Protein Nuggets (11%) [Isolated Soy Protein, Tapioca Starch, Salt, Emulsifier (Soya Lecithin)], Rapeseed Oil, Caramel (8%) [Chicory Root Fibre, Humectant (Vegetable Glycerol), Palm Kernal, Water, Butter (Milk), Palm Oil, Emulsifiers (Mono- and diglycerides of fatty acids, Sorbitan Tri- Stearate, Rapeseed Lecithin), Gelling Agent (Pectin), Salt), Colour (Plain Caramel)], White Chocolate Flavour Coating (5%)[ [Sweeteners (Isomalt, Sucralose), Palm Oil, Whey Powder (Milk), Flour (Wheat Flour, Calcium Carbonate, Iron, Niacin, Thiamine), Emulsifiers (Soya Lecithin), Natural Flavourings)], Meringue Pieces (1%) [ Sugar, Palm Oil, Starch (Wheat), Egg Albumen)], Natural Flavourings, Thickener (Acacia Gum), Emulsifier (Sunflower Lecithin), Sea Salt, Colour (Curcumin), Antioxidant (Vitamin E). Nutritional information is based on the Birthday Cake flavour. When choosing an alternative flavour, the nutritional values may vary.